Vintage Games: An Insider Look at the History of Grand Theft Auto, Super Mario, and the Most Influential Games of All Time (2009), by Bill Loguidice and Matt Barton, through Focal Press. Vintage Games, available from retailers worldwide, is a full color, illustrated book, that explores the most influential videogames of all time, including Super Mario Bros., Grand Theft Auto III, Doom, The Sims, and many more. 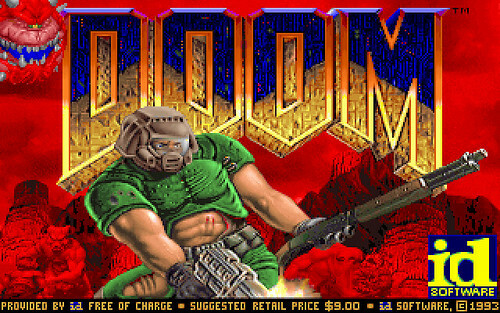 Doom is the clear predecessor of such modern hits as Halo and Half-Life. Note the resemblance to Halo's Master Chief. 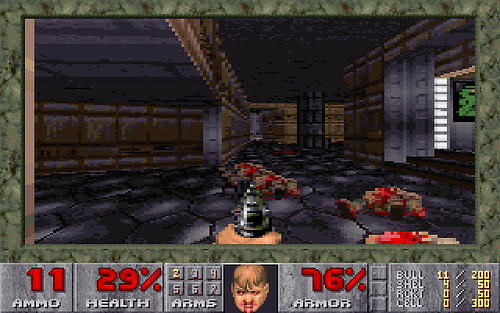 In Doom, the corridors are filled with demons and possessed, mutated soldiers. Shoot first, ask questions later. Note how the face at the bottom becomes bloodied as you take damage. Modern FPS games like Call of Duty 4: Modern Warfare (Activision, 2007; Apple Macintosh, Microsoft Xbox 360, PC, et al.) 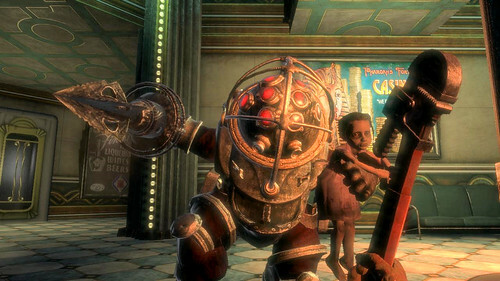 and the pictured BioShock (2K Games, 2007; Microsoft Xbox 360, PC, Sony PlayStation 3), have proven extremely popular with fans of compelling action and gripping, interactive storylines. 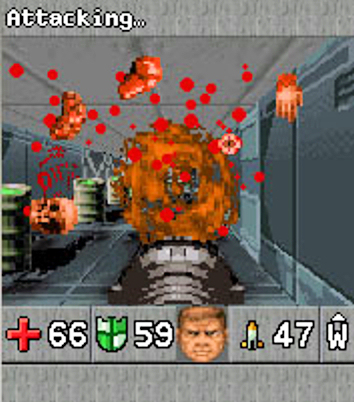 The Doom brand has shown up in some unexpected places, including the popular and unique Doom RPG (2005) for cell phones, which combines many of Doom's familiar features with classic role-playing elements (the similar Wolfenstein RPG launched in 2008). Promotional screenshot from the first game in the popular Tribes series, Starsiege: Tribes (Dynamix, 1998; PC), which was released as freeware in 2004. 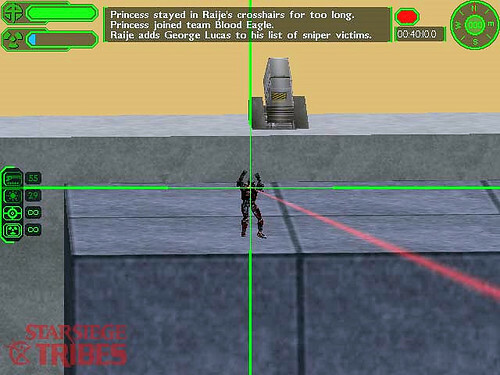 The fast paced and mod friendly Starsiege: Tribes was one of the first online-only games and features incredibly robust multiplayer options in typically large outdoor environments. While publisher Sierra discontinued online support for the game in 2007, its rabid fans still play on a community run server. id's Quake Live (2009; Apple Macintosh, PC) is a free update of Quake III and its expansion pack, Team Arena, and is supported by in-game advertising. One of Quake Live's more popular uses is for gaming competitions and tournaments.